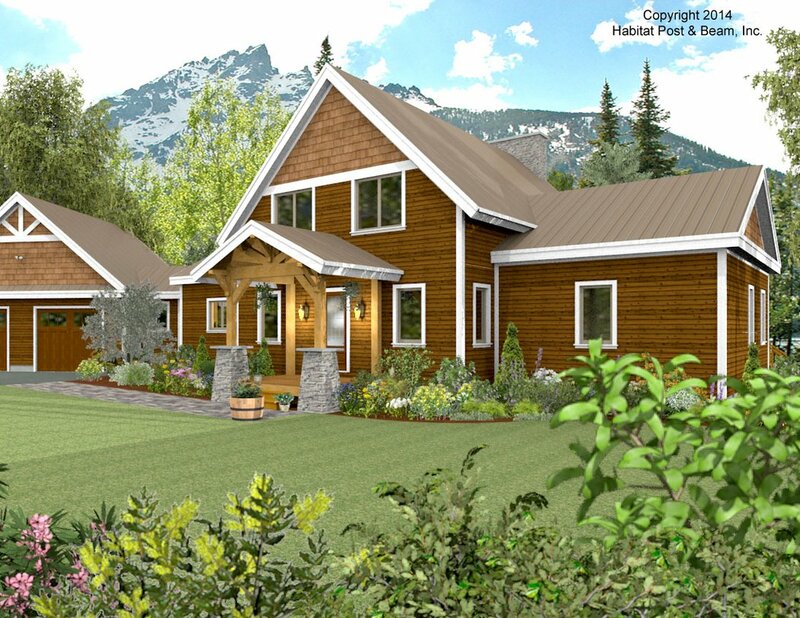 This house is a combination of our Lodge and Prow designs. 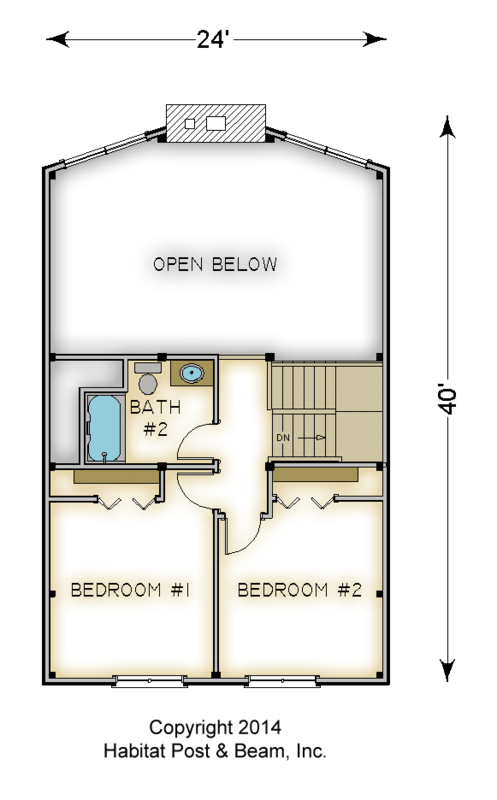 It has a main level master suite and 2 bedrooms on the upper level. 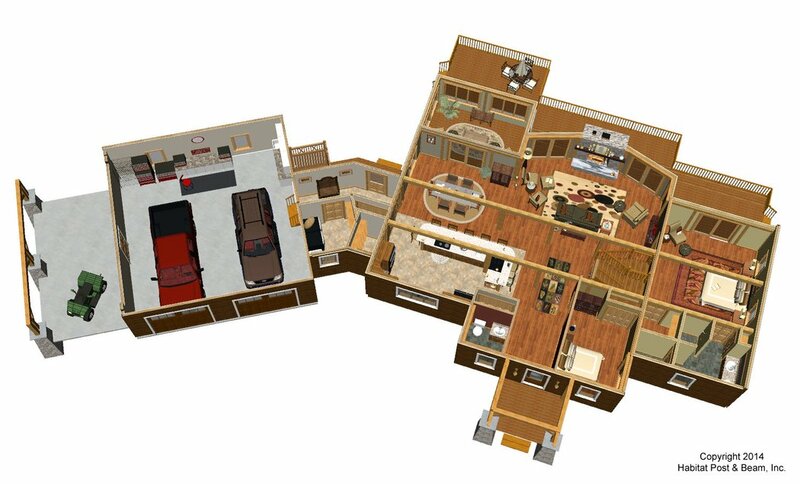 The main level also has a large kitchen/dining space, living room and sunroom. 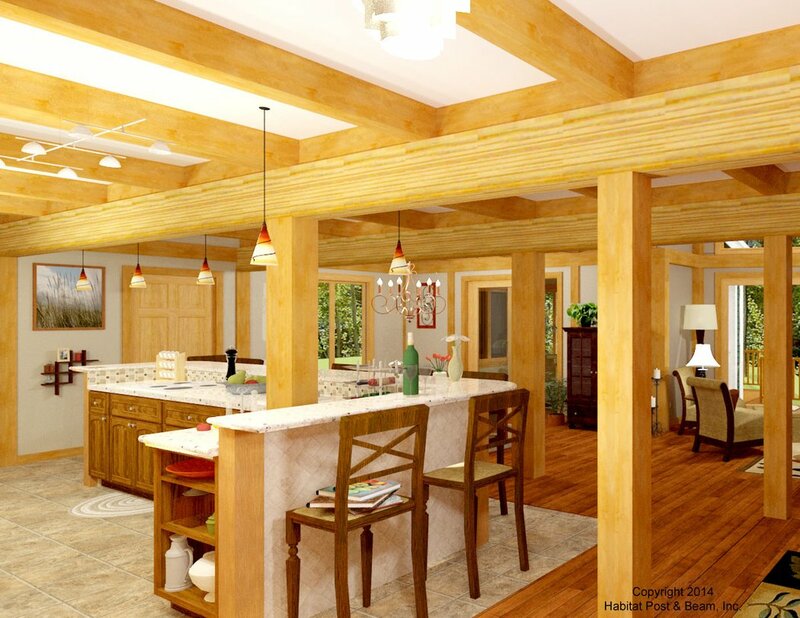 Package Price: $222,000 as specified below (from $179,500 to $231,500 depending on framing options). The standard price includes our Full Exposure Wall System for the center section, Beamed Wall System for the wings, Plaster and Beam or Beamed Mid-Floor System under upper level (same package price for either system), our Beamed Roof System over the living room, stairs, bath #2, front of loft, and sunroom, and our Plaster and Accent Beam Roof System over the wings. The entry porch is our Beamed Porch System. The plan download notes a mid-floor over the wings, but this pricing assumes a cathedral ceiling and no mid-floor for the wings as that is how most people would prefer the design. 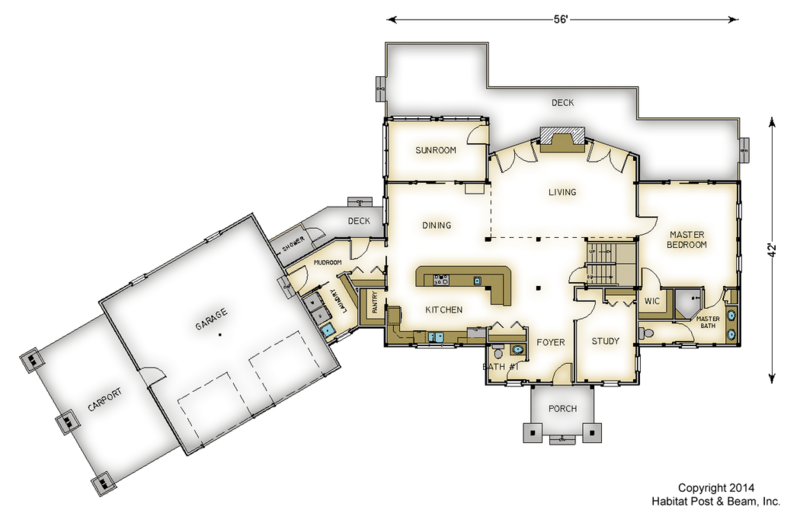 The walkout level (daylight basement), garage, and connector are not included in the above pricing.